Four years ago yesterday, Barack Obama signed an important piece of financial regulation into law: The Dodd-Frank Wall Street Reform and Consumer Protection Act, or Dodd-Frank for short. The primary goal of this act was to rectify and amend the poor procedures which led to the financial collapse of 2008, and to put in place regulations which would prevent the proliferation of such fault-ridden procedures at a later point in time; Dodd-Frank was dubbed the legislative counterweight to the rapidly expanding power of the financial services industry. In 2008, the world watched in horror as the global financial markets flirted with implosion; stock markets plunged, and some estimates place the gross amount of household wealth lost during the journey towards the bottom to be close to $20 trillion. As is typical of any disaster, the most widely debated topic has been who to blame, and although it seems difficult to assign total liability to any individual party, it has not stopped people from trying. Although not many people can unanimously agree upon the culprit, the usual suspects who are regularly apportioned at least part of the blame are either the ratings agencies and regulators, or the collective network of bankers and financial professionals who are – regardless of their residency –known collectively by their synecdoche of ‘Wall Street’. Dodd-Frank was primarily designed to target these market participants, with the goal of restoring order to a broken financial system. The first stage of the aforementioned containment system sought to reduce the possibility of a future financial crisis by improving monitoring systems and by curtailing risky behaviour. 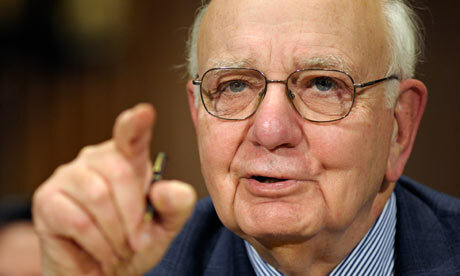 One of the centerpieces of Dodd-Frank is the so-called Volcker Rule, named after former Federal Reserve Chairman Paul Volcker (pictured right), which was formed with the intent to eliminate proprietary trading from banks that hold consumer deposits. The bill also mandated that stress tests would be conducted on a regular basis to ensure the banks were insulated from the potentially dangerous market activity. These same tests were previously championed by former Treasury Secretary and Chairman of the New York Fed, Timothy Geithner (pictured left). In theory, it is hoped that the Volcker Rule and mandatory stress testing will reduce the possibility of a financial crisis by reducing risky behaviour and increasing transparency. Stage two was designed to mitigate the effects of a financial crisis, if it were to occur in spite of additional stress tests and the elimination of proprietary trading. The tool used to achieve this goal was to raise capital requirements, thus forcing banks to keep more cash assets on hand. Higher capital requirements meant banks would be better prepared to handle a downturn in the market, as they will have more cash on hand to settle consumer withdrawals and to cover the losses of any potentially defaulted products. During the financial crisis, banks were leveraged as high as 33:1– this means banks were only required to hold 3% of their total assets on hand, in cash. By increasing the required reserve ratio, the Dodd-Frank act sought to create a system of financial intermediaries which could properly handle even the worst-case scenario. The final stage of the containment system concerned the final stage of any worst-case scenario: crisis management. In 2008, regulators were woefully unprepared for the bankruptcy of Bear Stearns, the collapse of Lehman Brothers and the broader financial panic as a whole. The US Treasury and Federal Reserve were both inconsistent and indecisive in their handling of these disasters, which made clear the need for increased transparency and governing guidelines for the proper procedure to handle such situations. 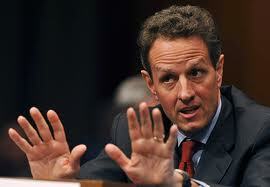 In 2008, Tim Geithner, who at the time was Chairman of the New York Fed, decided to provide an emergency loan guarantee to JP Morgan, in order to save the Investment Bank Bear Stearns from bankruptcy. Seven months later, Geithner and Treasury Secretary Hank Paulson decided not to provide the same guarantee to save the Investment Bank Lehman Brothers, for fear of creating moral hazard. In economics, moral hazard is created out of a situation where a party is more likely to take on increased risk, due to the fact that they will be sheltered from the brunt of the consequences. Geithner and Paulson feared a situation where all banks would take undue risks with impunity, with the assumption that they would be bailed out by the government. Unfortunately for Lehman Brothers, Paulson and Geithner needed somebody to be made an example of, and that turned out to be Lehman Brothers, as they were denied protection from bankruptcy. 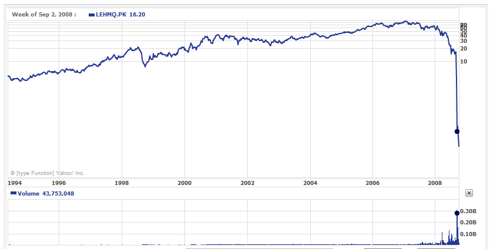 The chart below showing Lehman’s stock price speaks for itself. Contradicting their previous decision to allow Lehman Brothers to go bankrupt, Paulson and Geithner extended emergency relief to both Bank of America and AIG shortly after. Without a clear precedent and template, the inconsistency in the crisis management of the Fed and the government as a whole injected further uncertainty into an already volatile market. The third stage of Dodd-Frank implores the creation of crisis management mechanisms and planning to avert the impulsive decisions made by top officials. The hope is to diligently plan for a series of crisis scenarios, and provide regulators with a playbook of sorts with clear precedents and guidelines. In theory, this would remove the ambiguous and perhaps erratic decision-making that could further destabilize the market. In theory, Dodd-Frank addressed key areas of failure that lead to the the global financial crisis of 2008. Tomorrow, we will examine some criticisms levied against the bill and debate whether it will ultimately achieve financial stability.